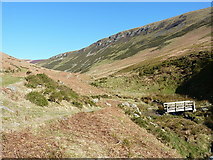 Starting and ending at the value for money carpark by the Pistyll Rhaeadr visitor cafe, this walk of roughly 10 miles starts easily enough up well-marked tracks and paths as far as Llyn Lluncaws, and up onto Moel Sych. 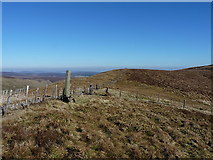 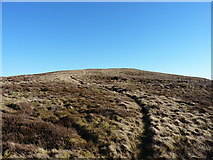 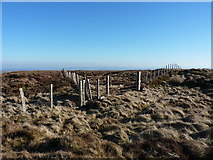 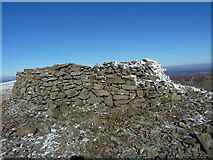 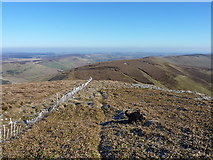 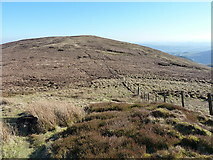 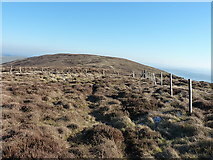 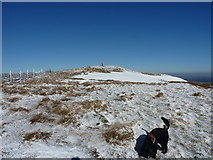 It then heads over the 'new' highest point of the Berwyn ridge, followed by the 'old' highest point with its trig, passing a variety of Bronze Age burial cairns and such like, then drops down to explore a rather less frequented corner of the hills - out over extensive moor and heather to the 679m top of Godor. 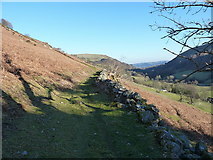 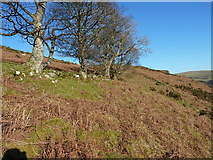 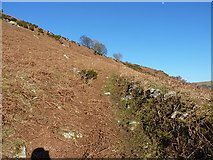 More heather-bashing follows for a short while, then a reasonable path runs almost due south along a series of field boundaries to rejoin the road between the farms of Tyn-y-wern and Tyn-y-celyn. 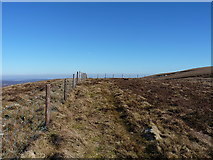 Just be sure to close any gates, and not to damage any walls or fences on this descent, as the Access Land doesn't quite reach the valley floor. 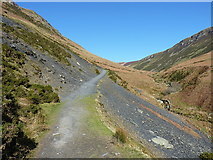 The whole route is slightly over 10 miles in total. 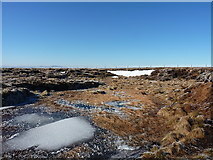 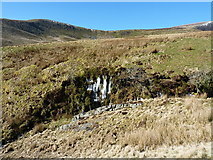 Overnight icicles formed on a seepage line out of the peat on the slopes of Moel Sych. 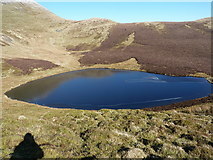 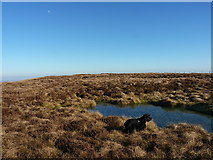 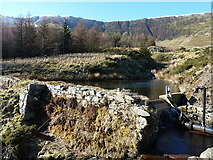 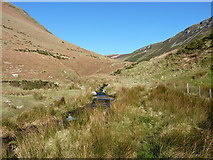 Nestled in below the steep scarp of Moel Sych, the lake occupies a perfect little cwm. 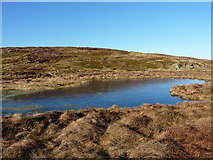 The lake was almost frozen over, apart from a narrow margin in places. 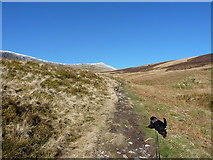 On a bit of a mission, he's heading for the second summit of the day. 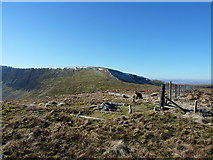 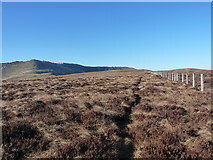 Along the fenceline on the ridge of Tomle, with Cadair Bronwen on the right. 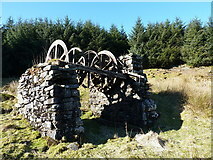 The wheel/drum of the brake mechanism, cast in the Newtown foundry by Turner Brothers. 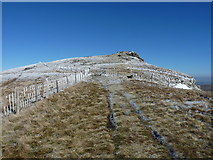 Heading down from the North Top to the 654m saddle below Godor. 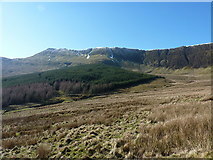 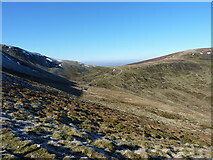 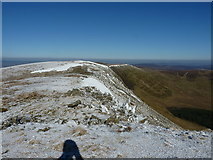 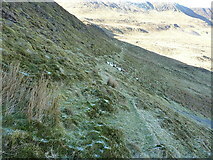 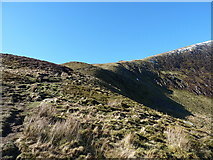 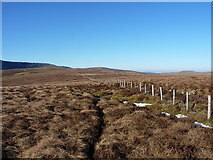 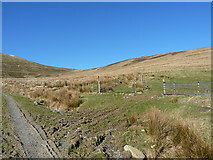 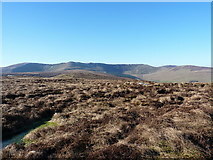 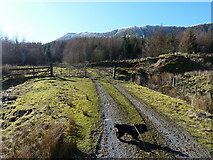 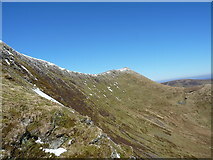 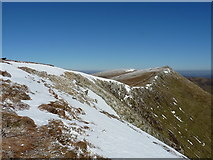 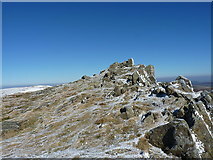 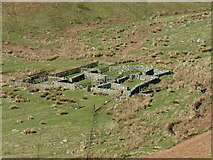 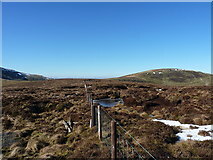 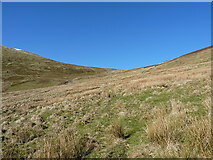 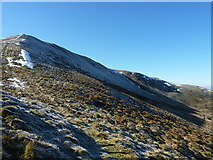 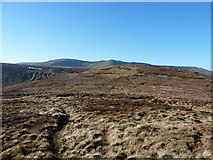 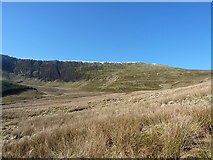 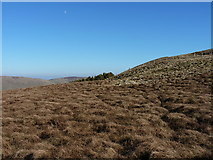 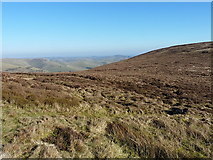 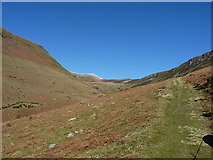 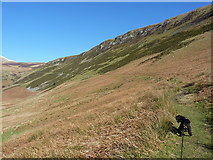 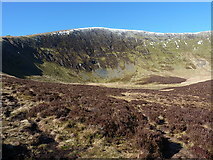 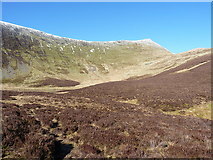 A view along the ridge NW of Godor nearly 2 miles to Cadair Berwyn. 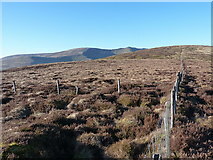 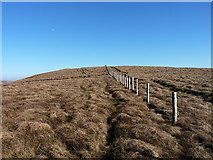 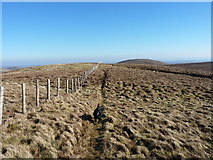 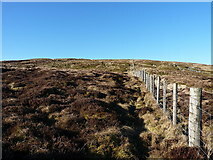 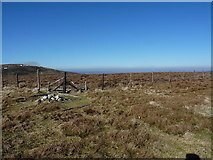 Fenceline running up the southern side of the former Nuttall of Moel Poethion. 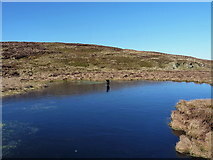 A small llyn on the southern side of Moel Poethion, here frozen about an inch thick. 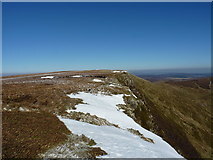 All images © Richard Law and available under a Creative Commons licence .